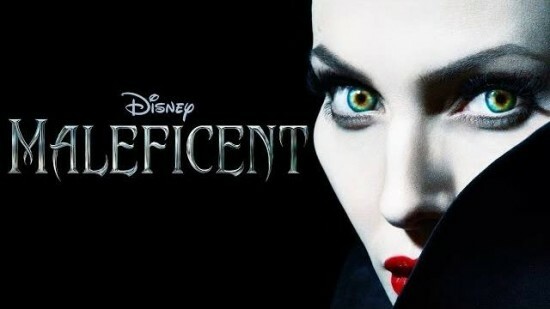 If you’ve ever watched or read the story of Sleeping Beauty, you know who Maleficent is. Maybe not by name but by her character. Maleficent, as portrayed in the original Sleeping Beauty tale, is the evil fairy who puts a curse on the baby Aurora. You know the curse. It’s the one that promises when Aurora turns 16 she’s going to prick her finger on a spinning wheel and fall into a deep sleep. Our original plan was to see Maleficent on Friday night (the movie’s opening night) or on Saturday. Our weekend suddenly became booked and we had to make a change of plans. Luckily for Pam, there was an early showing on Thursday. Quite reluctantly, I said we could make it a movie date night and see the movie. I have to say I was surprised. Maleficent provided to be quite an engaging movie. Angelina Jolie played a captivating Maleficent. The slow decent of King Stefan into madness as acted by Sharlto Copley. The movie came together quite well. Maleficent also provided some amazing leadership lessons and quotes. 1. First impressions aren’t always true: Maleficent begins with the meeting of Maleficent and a young boy trying to steal a jewel from her kingdom. This boy turned out to be a young man named Charles. Charles would eventually go on to become the king of the land. After confronting Charles about the theft, Maleficent takes the jewel he stole and threw it into a lake. Charles tells Maleficent that if he knew she was going to just throw the precious jewel away, he would have kept it. In reply, Maleficent tells Charles she didn’t throw it away. Rather she delivered the jewel home. How many times do we see an action and quickly jump to a conclusion? There’s a danger in jumping to conclusions without all of the facts. That first impression may be wrong! Titles are meaningless unless you have the respect of the people you lead. 3. Cast away things that hurt others: Shortly after meeting Stefan, we learn iron can hurt fairies. Stefan has an iron ring and during an embrace, Maleficent recoils in pain. Learning the pain iron can cause Maleficent, Stefan casts away one of his only possessions. We can learn a lot about leadership from Stefan’s selfless actions in throwing away something he prized yet caused pain to those he cared about. Are there policies or habits you have that are hurting those closest to you? If so, see what you can do about ridding yourself of those harmful actions. Be like the young, noble Stefan and get rid of those bad policies and habits. Stop complaining. I saved your life. 5. Temptations can destroy us: Unfortunately, Stefan didn’t stay noble for long. Stefan stopped visiting with Maleficent and gained the desire to be king. Once he heard the king make the proclamation that the person who kills Maleficent would become king when the king dies, Stefan begins a plot that turns his heart dark. And eventually leads to his downfall. Shiny objects and good things appear to us all along our leadership journeys. 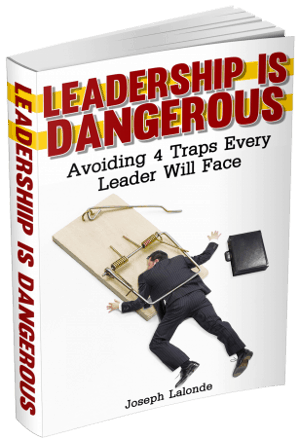 There’s nothing inherently bad about moving to the next level of leadership or becoming a better man. However, if you take the wrong roads to get to these places, it’s not worth it. Don’t let the next big thing change you for the worse. 7. Hatred and revenge can make you the villain: Much like the temptation that destroyed King Stefan, hatred and the desire for revenge can turn you into a villain. 9. There’s two sides to every story: We’ve all heard the tale of Sleeping Beauty. Well, one side of the story. Maleficent opens our eyes that there’s two sides to every story. Stop closing yourself off to the possibility there’s only one side to the story you’re telling yourself. While Sleeping Beauty portrayed Maleficent as wicked and evil, Maleficent does a role reversal and shows the king as evil. If we really examined the stories, we’d more than likely see the truth lies somewhere in the middle. Search out the truth, not just the side of the story that sounds good to you. I call on those who live in the shadows. Fight with me now! The down and out, the outcasts, the downtrodden. They can be a force to be reckoned with. 11. Your heart can be restored: Maleficent was hurt. She was damaged goods after Charles cut off her wings. Her heart was crushed. From that day forward, Maleficent became cruel and sought revenge. She even put a curse on a baby! Yet, throughout Maleficent, you see her heart slowly begin to be restored. Maleficent watches over the young Aurora while the inept fairies struggle to feed her, keep her safe, and raise her well. She goes as far as building a mother-daughter type of relationship with Aurora. No matter how badly you’ve been hurt, there’s the possibility your heart can be healed. 13. Sometimes the villain and the hero are one and the same: One of the shocking twists in Maleficent was the fact Prince Phillip wasn’t the one who awoke Sleeping Beauty from her sleep. Rather, it was Maleficent’s kiss on the forehead which awoke Princess Aurora from her slumber. Lesson 11 shows that your heart can be restored. This also means that if you’ve done bad things in the past, you can overcome the past. Even in the movie, Maleficent was the villain. Yet Maleficent was also the hero. The choice is yours. Who will you be today? I was shocked at how good the Maleficent movie turned out to be. There was a lot of great action, a gripping story, and plenty of leadership lessons looking to be found. If you’re looking for a good date night movie, Maleficent may be the one that will hit the spot. Who knows, you might even spot more leadership lessons from Maleficent than I did! Question: Have you discovered things aren’t always as they seemed, like in Maleficent? Why do you think this is? Please share your thoughts in the comment section below.